On April 26-27, 2019 ECUTEC, SWECO, TOMRA and Xoptix will exhibit at the 2019 SME Carolinas-Georgia Sections Joint Meeting and Field Trip. The event will be held at the Holiday Inn Biltmore West in Asheville, NC. Click on the link at left for more information. 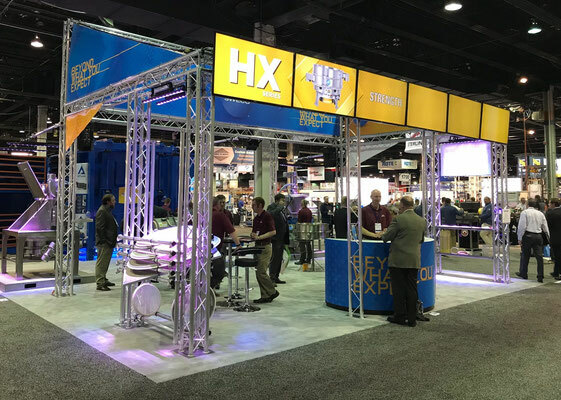 On July 11-14, 2019 ECUTEC, SWECO, TOMRA and Xoptix will exhibit at the 2019 Georgia Mining Association Annual Convention at the Ponte Vedra Inn and Club in Ponte Vedra, FL. Click on the logo at left for further information. On September 4-6, 2019 Xoptix and Preferred Process Solutions will exhibit at the 8th Annual Frac Sand Supply & Logistics Conference at the JW Marriott Hill Country Resort in San Antonio, TX. 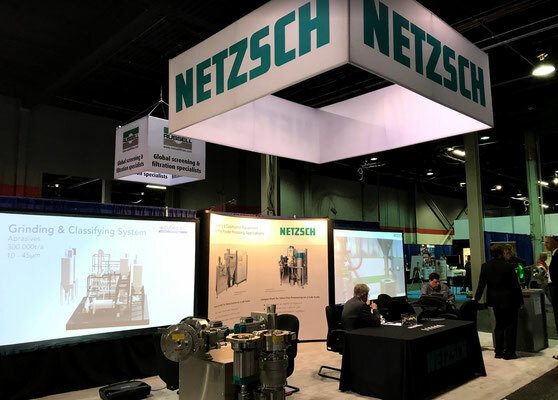 During the conference we will exhibit a live demonstration of the Xoptix in-process particle size analyzer showing how it can instantly perform size analyses on frac sand and report results that correlate to traditional sieve analysis reports. Click on the logo at left for more information. 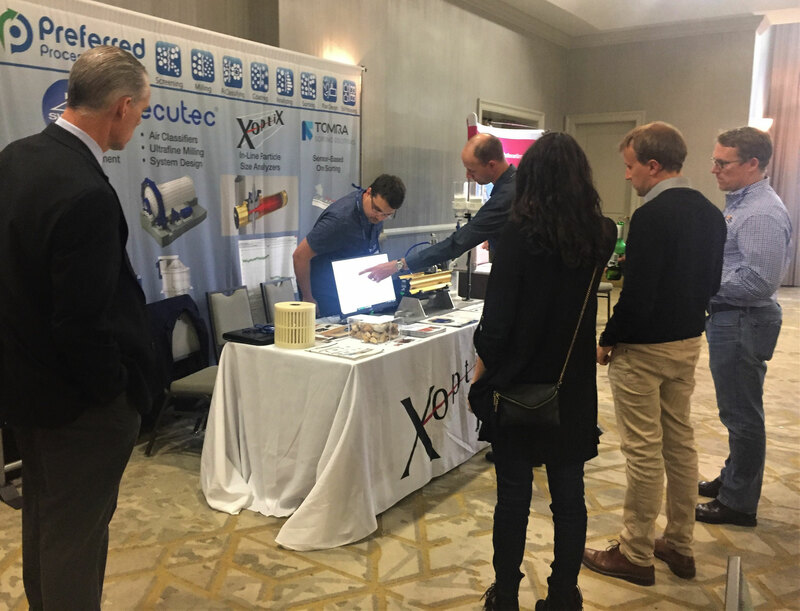 On November 19-21, 2019 Xoptix, ECUTEC and Preferred Process Solutions will exhibit in Booth 218 at the 38th Annual International Cement Seminar & Exhibition held at the Cobb Galleria Centre in Atlanta, GA. During the conference we will exhibit a live demonstration of the Xoptix in-process particle size analyzer showing how it can instantly perform size analyses on cement and report results that correlate to traditional Blaine analyses. Also, A.J. 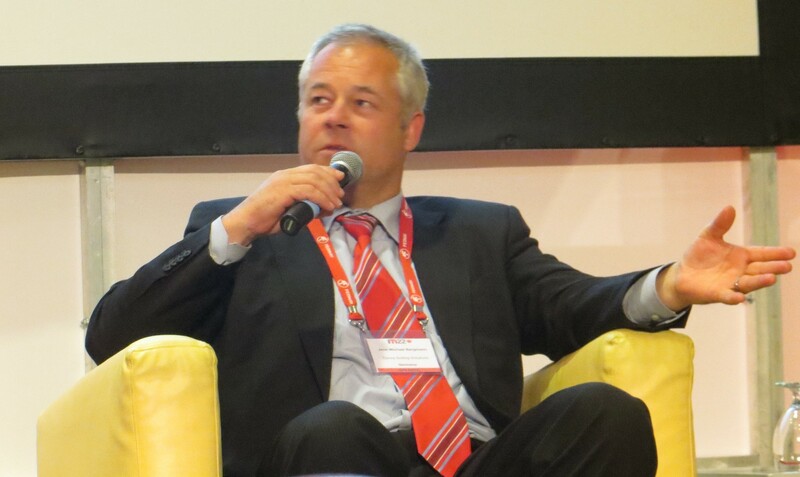 DeCenso will present a paper entitled Size Matters. So How Do You Measure Up? 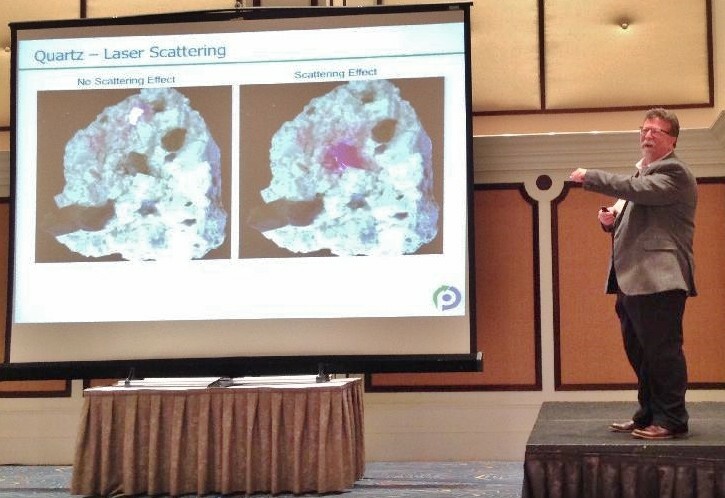 The Importance of Real-Time Cement Particle Characterization and How it Improves Your Bottom Line. Below is a PDF file with an abstract of the paper. Click the link at left for further information on the conference. 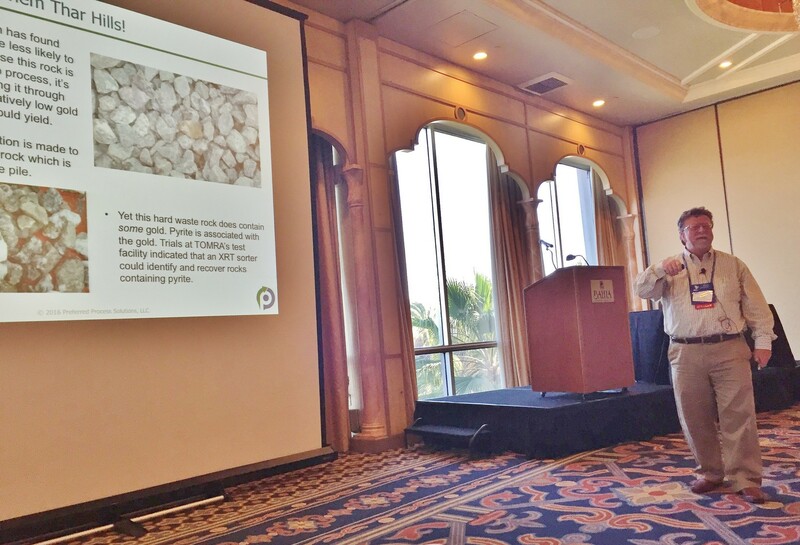 On March 26-28 ECUTEC, SWECO, TOMRA and Xoptix exhibited at the 2019 Industrial Minerals Association Technology Workshop. The event was held at the DeSoto Hotel in Savannah, Georgia. During the workshop A.J. 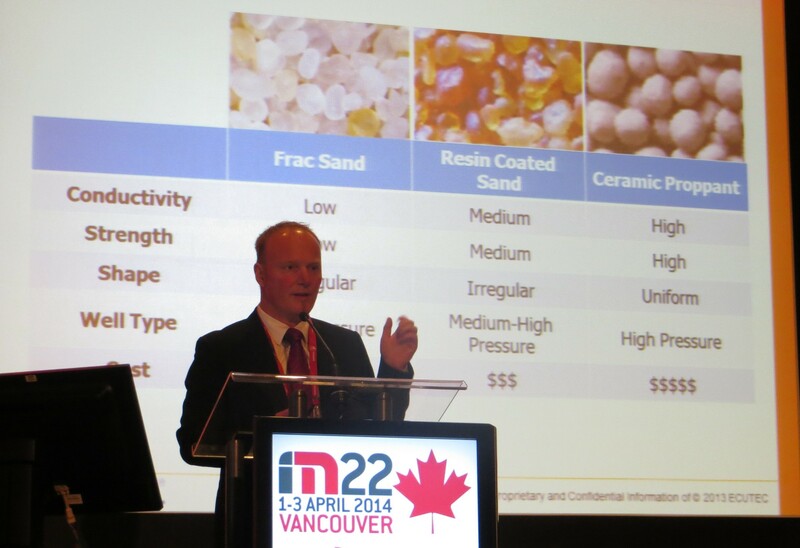 DeCenso of Preferred Process Solutions presented a paper entitled Size Matters. So How Do You Measure Up? Particle Size Characterization Methods and Their Effect on Your Business. Below is a downloadable PDF of the presentation. 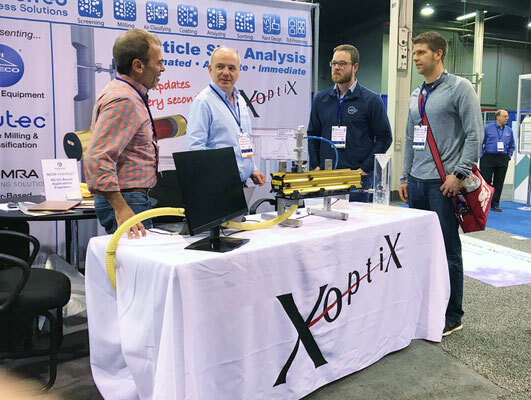 Xoptix and Preferred Process Solutions exhibited at the 2019 North American Frac Sand Exhibition & Conference held February 26-27, 2019 at the George R. Brown Convention in Houston, TX. During the conference we exhibited a live demonstration of the Xoptix in-process particle size analyzer showing how it can instantly perform size analyses on frac sand and report results that correlate to traditional sieve analysis reports. 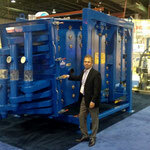 As can be seen in the video at below, we first fed the sizer a 40/70 frac sand. The analyzer showed the product was running around 93% between the #40 and #70 test sieves and nothing in the pan (finer than #100 test sieve). Next we bled in some 100 mesh sand to simulate what would happen if the 70 mesh deck in the product screen were to blind. When this happens, 100 mesh sand that should go through that 70 mesh deck ends up carrying over and then contaminates the 40/70 product, causing it to go finer. As seen in the demonstration, the Xoptix detects this anomaly and shows that the product quality drops to around 86%, below the API specified minimum of 90%, while the pan increases to 4%, well above the allowable 1.0%. Once the 100 mesh bleed is turned off (simulating replacement of the blinded 70 mesh product screen) the system corrects itself and the Xoptix shows the product analysis returning to specified limits. 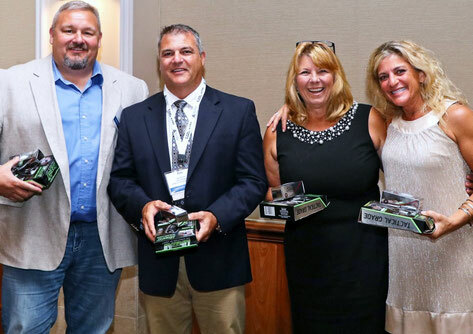 ECUTEC, SWECO, TOMRA and Xoptix exhibited at the 2018 Georgia Mining Association Annual Convention July 12-15, 2018 at the Ponte Vedra Inn and Club in Ponte Vedra, FL. Our Office Manager, Julie Craft (far right), collects her winnings along with her teammates after winning the Team Low Net competition in the golf outing, all made possible by Julie's eagle putt to seal the win! 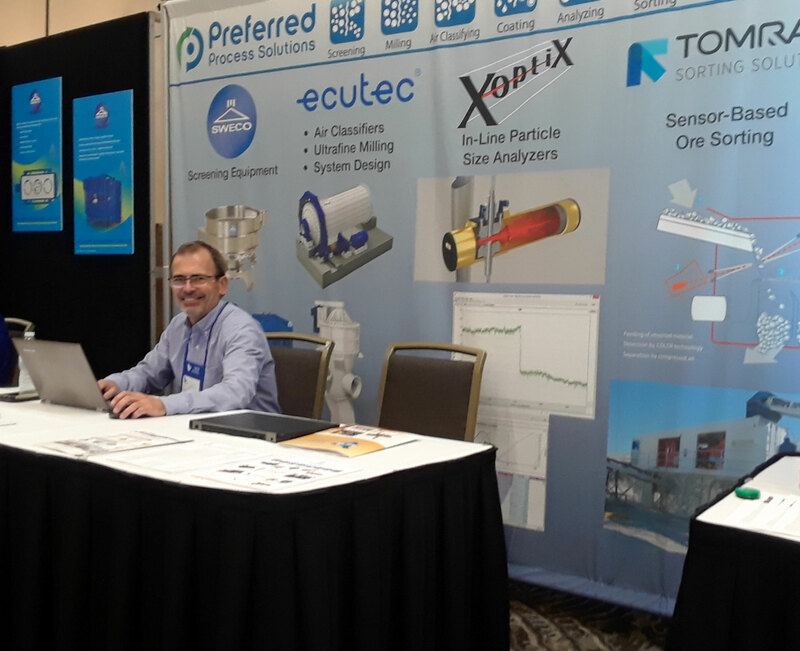 SWECO and Xoptix exhibited at POWDERMET2018 (International Conference on Powder Metallurgy & Particulate Materials) which was co-located with AMPM2018 (Additive Manufacturing with Powder Metallurgy Conference). 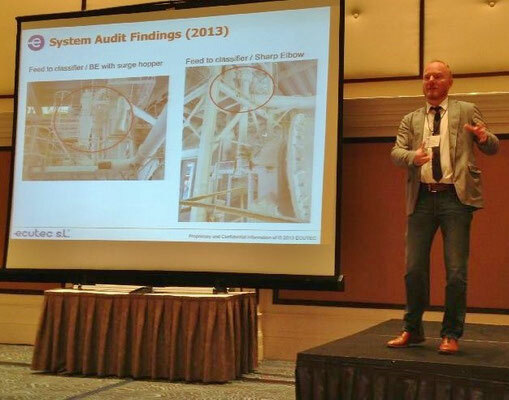 The events were held June 17-20, 2018 at the Grand Hyatt San Antonio in San Antonio, TX. On April 27, 2018 ECUTEC, SWECO, TOMRA and Xoptix exhibited at the 2018 SME Carolinas-Georgia Sections Joint Meeting and Field Trip. 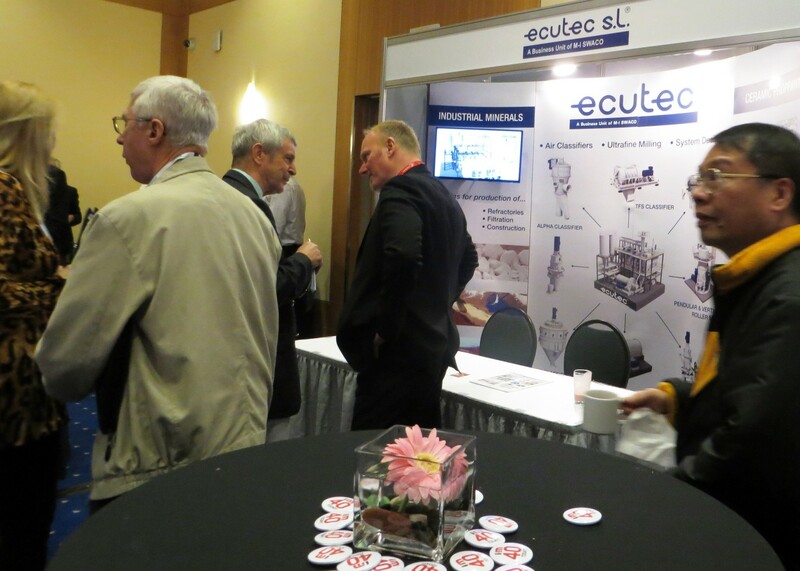 The event was held at the Jekyll Island Convention Center in Jekyll Island, GA.
On April 24-26 ECUTEC, SWECO, and Xoptix exhibited at the 2018 International Powder & Bulk Solids Conference and Exhibition. The event was held at the Donald E. Stephens Convention Center in Rosemont, IL. Below are some photos from the event. 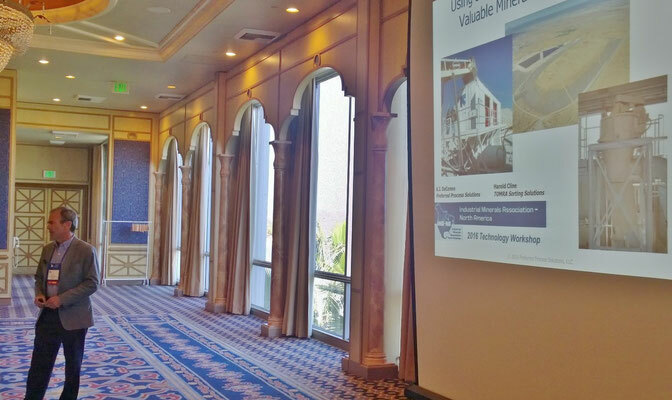 On March 19-21 ECUTEC, SWECO, TOMRA and Xoptix exhibited at the 2018 Industrial Minerals Association Technology Workshop. The event was held at the DoubleTree by Hilton at Universal Studios in Orlando, FL. During the workshop A.J. DeCenso of Preferred Process Solutions presented a paper entitled In-Line Particle Size Analyzer Offers Real-Time Monitoring of Industrial Mineral Processes. Below is downloadable PDF of the presentation. 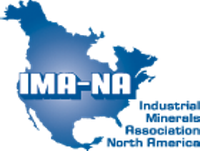 On April 24-26, 2017 ECUTEC, SWECO and TOMRA exhibited at the 2017 Industrial Minerals Association Technology Workshop. 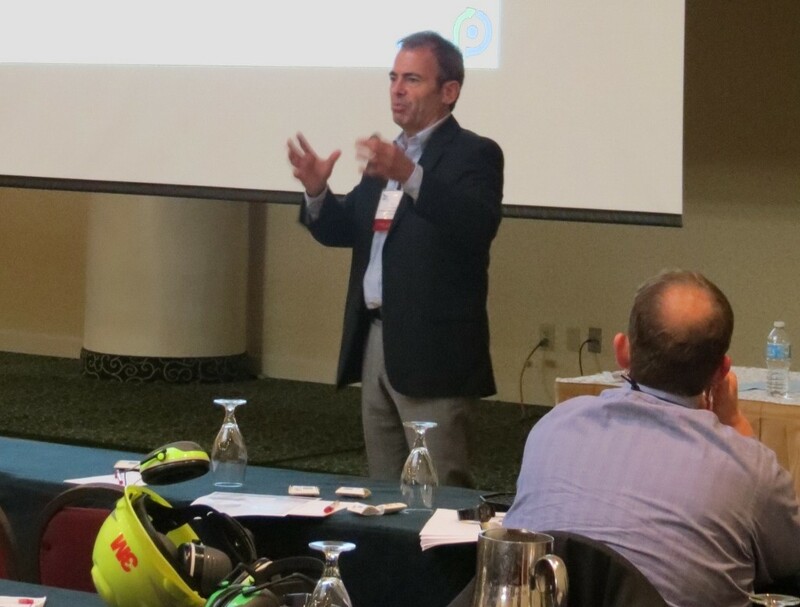 The event was held at the Intercontinental St. Paul Riverfront Hotel in St. Paul, Minnesota. During the workshop A.J. DeCenso of Preferred Process Solutions and Harold Cline of TOMRA Sorting presented a paper entitled Laser Sorters Minimize Iron Content and Maximize Yield for Quartz Producers: Case Study from 2016. Below is downloadable PDF of the presentation. 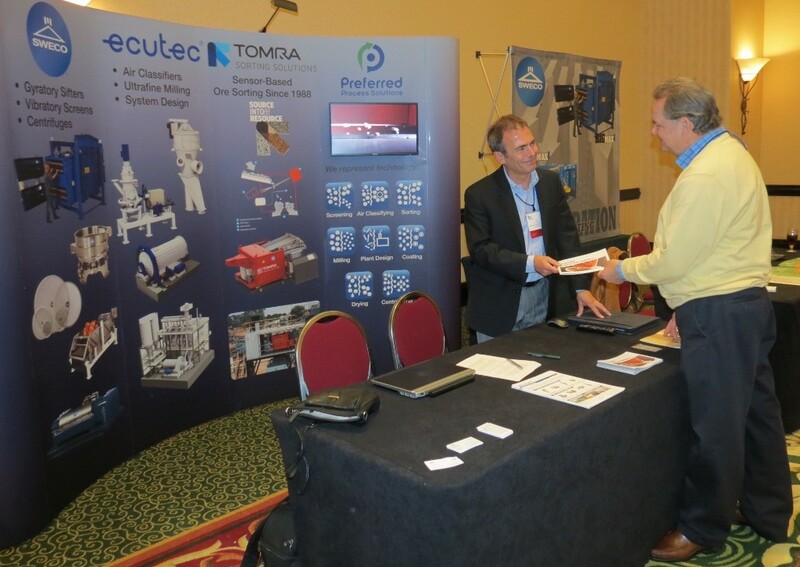 On March 13-15, 2017 TOMRA Sorting exhibited at the Phosphates 2017 International Conference & Exhibition at the Marriott Tampa Waterside Hotel in Tampa, Florida. During the conference A.J. 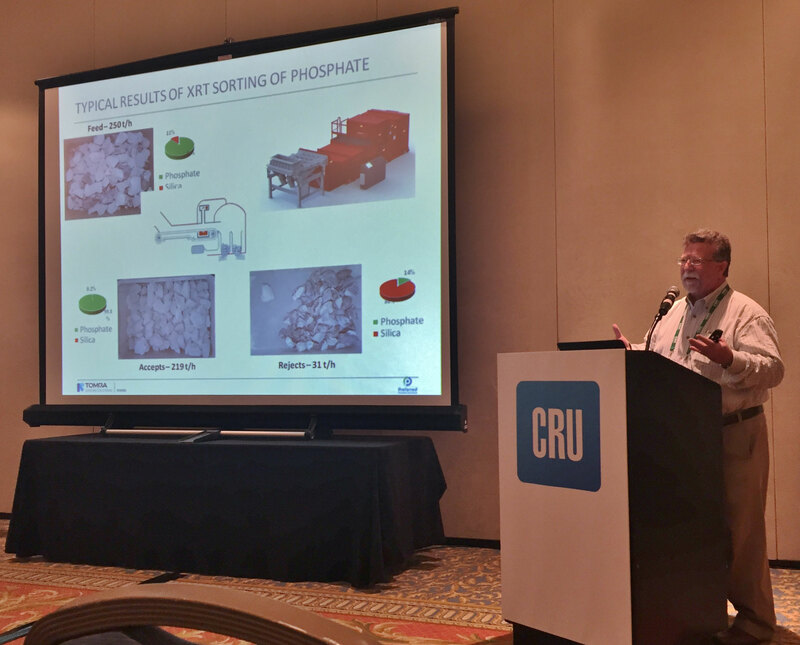 DeCenso of Preferred Process Solutions and Harold Cline of TOMRA Sorting presented a paper entitled Using X-Ray Sorters to Pre-Concentrate ROM Phosphate Ore. Below is downloadable PDF of the presentation. 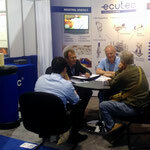 On March 14-16, 2016 ECUTEC, SWECO and TOMRA exhibited at the 2016 Industrial Minerals Technology Workshop. The event was held at the Bahia Resort Hotel in San Diego, CA. During the workshop A.J. 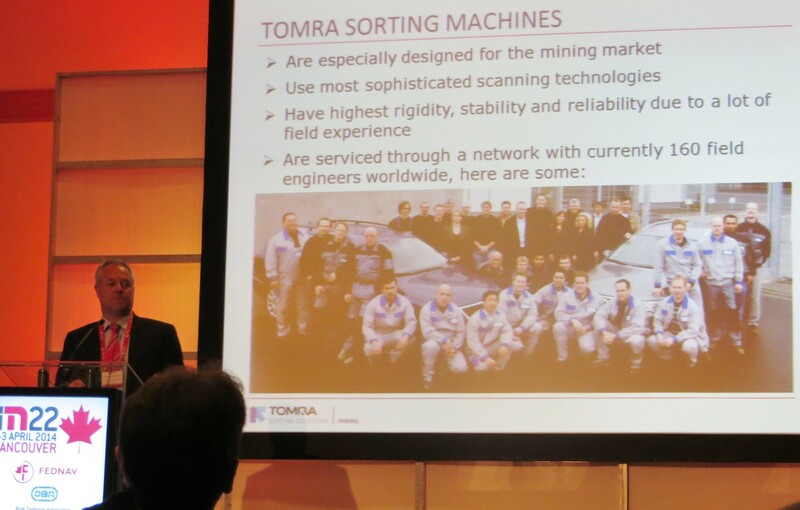 DeCenso of Preferred Process Solutions and Harold Cline of TOMRA Sorting presented a paper entitled Using Sorters and Classifiers to Recover Valuable Minerals from Tailings Piles. Below is downloadable PDF version of the presentation, as well as some photos from the event. 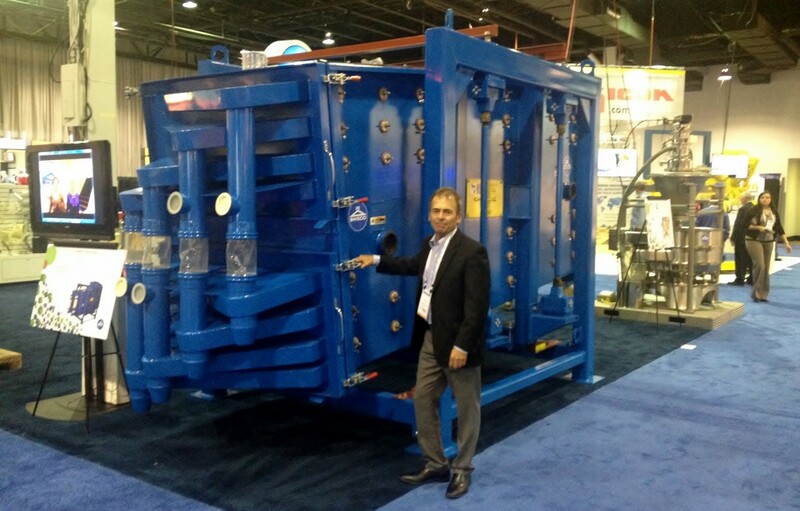 On May 3-5, 2016 SWECO and ECUTEC exhibited at the 2016 International Powder & Bulk Solids Conference and Exhibition at the Donald E. Stephens Convention Center in Rosemont, IL. 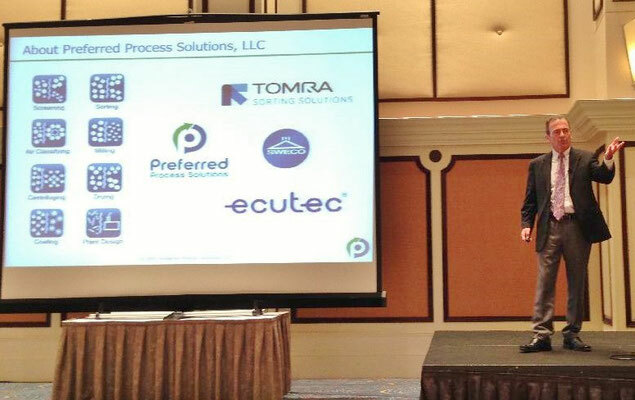 On March 9-11, 2015 Preferred Process Solutions exhibited products from TOMRA and ECUTEC in its booth at the 2015 Industrial Minerals Technology Workshop. 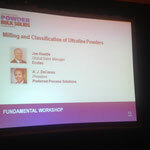 The event was held in Orlando, FL at the Buena Vista Palace Hotel & Spa. A.J. 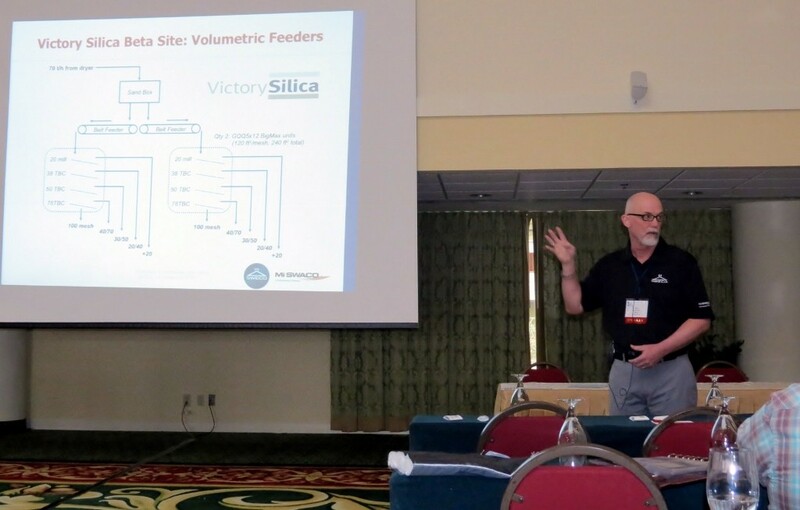 DeCenso of Preferred Process Solutions and Harold Cline of TOMRA presented a paper entitled New Sensor Technology Enables Ore Sorter to “See” Invisible Rock Features and Joe Roettle of ECUTEC presented a paper entitled Case Study: A Performance Turnaround at a Ground Calcium Carbonate Plant. Below are some photos from the event and downloadable PDF versions of the presentations. 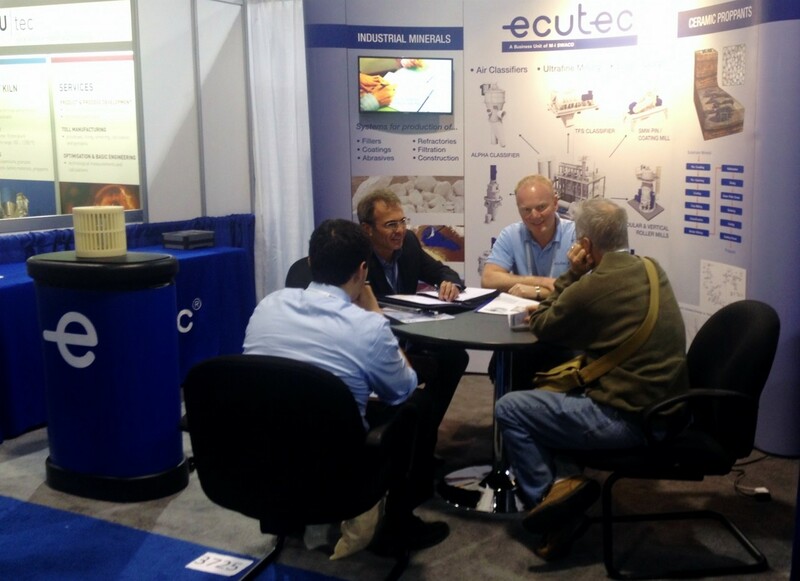 Both SWECO and ECUTEC exhibited at the 2014 International Powder & Bulk Solids Conference and Exhibition. The event was held May 6-8, 2014 at the Donald E. Stephens Convention Center in Rosemont, IL. 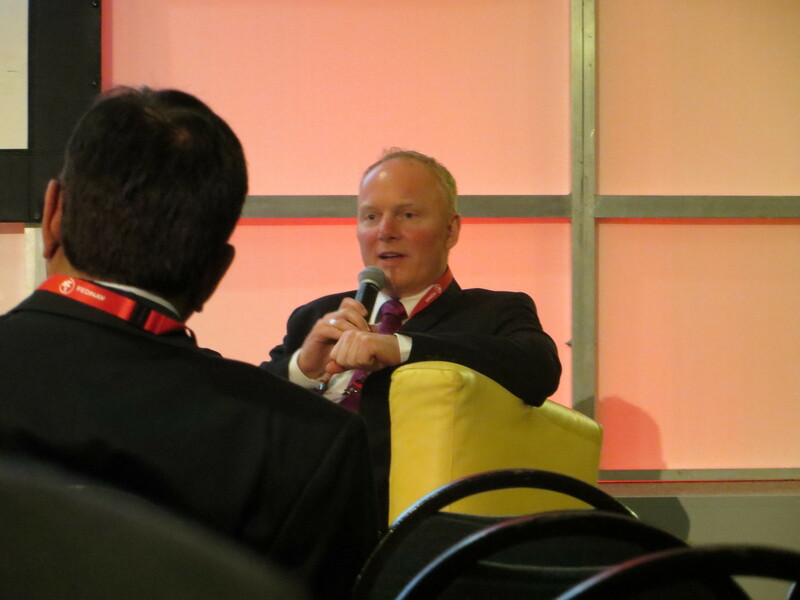 During the educational portion of the conference, A.J. 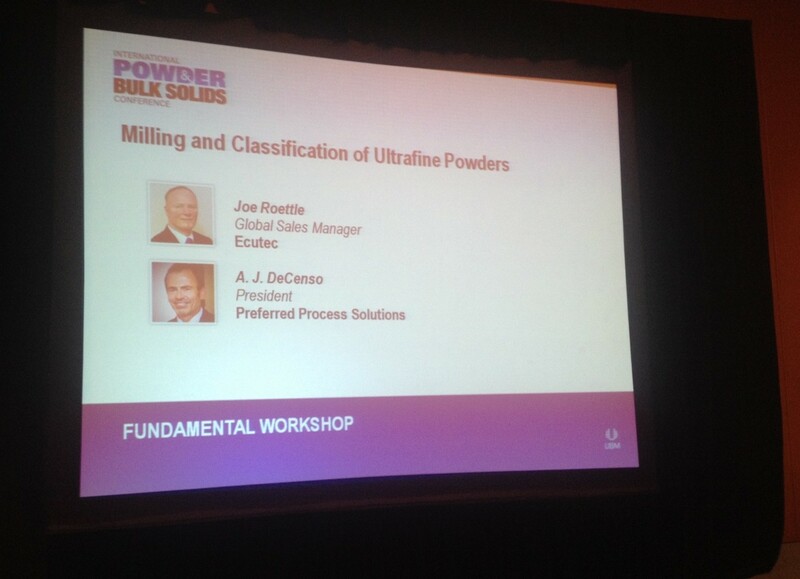 DeCenso of Preferred Process Solutions and Joe Roettle of ECUTEC conducted a 90 minute technical training session entitled "Milling and Classification of Ultrafine Powders". 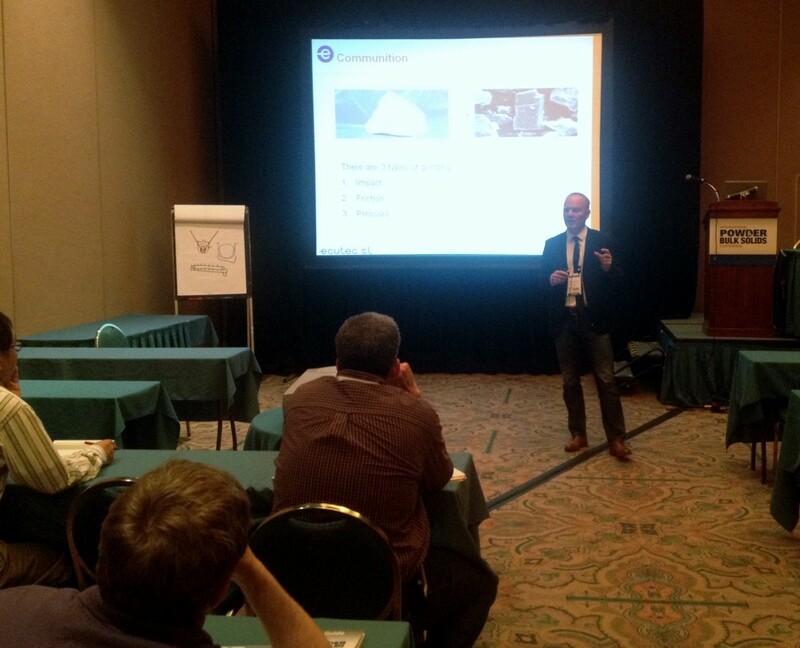 The session was well attended and many excellent discussions ensued. If you wish to see a copy of the presentation please send an email to info@preferred-team.com and we can set you up with a download. 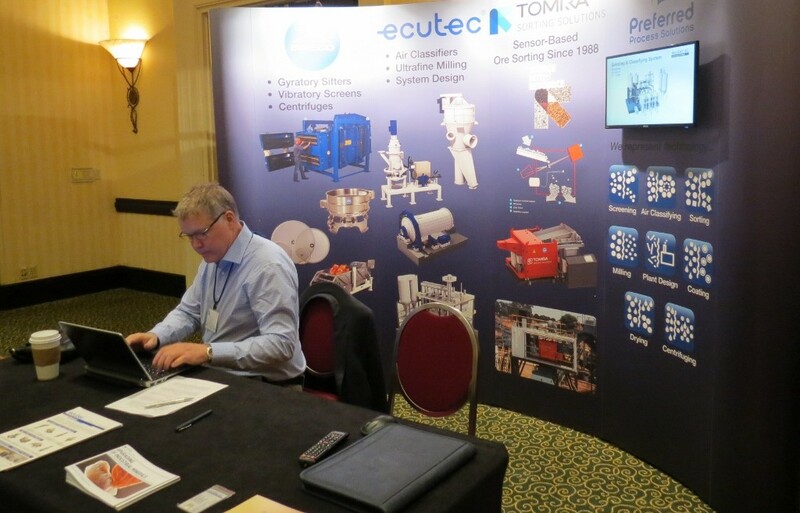 On March 17-19, 2014 Preferred Process Solutions exhibited products from ECUTEC and TOMRA in its booth at the 2014 Industrial Minerals Technology Workshop. The event was held at the Hilton Head Marriott Resort & Spa in Hilton Head, SC. A.J. DeCenso of Preferred Process Solutions, presented a paper entitled "Sensor Based Sorting: A Practical Application and Success Story". 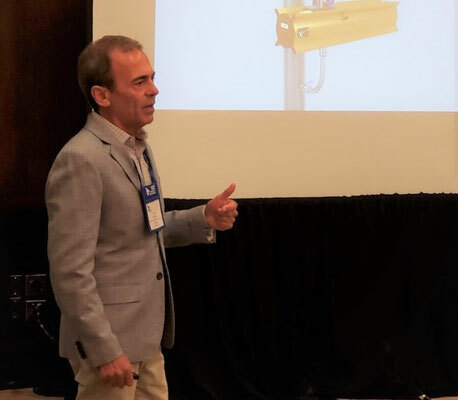 SWECO also had a booth at the workshop and Don Kenaley of SWECO presented a paper entitled "Innovative Solutions to Improve Feeding of Frac Sand Screens”. 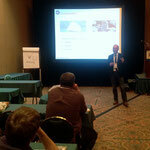 Below are some photos from the event and a downloadable copy of the presentation.